When we say that our neighborhood’s much-loved Gina and Ron Eisenberg have recently adopted a wonderful new lifestyle, we’re not kidding. For this tireless twosome, both at an age when many would be ready for a little additional hard-earned post-professional “me-time,” assuming parental roles generally more suited for millennials was a heartfelt no-brainer. 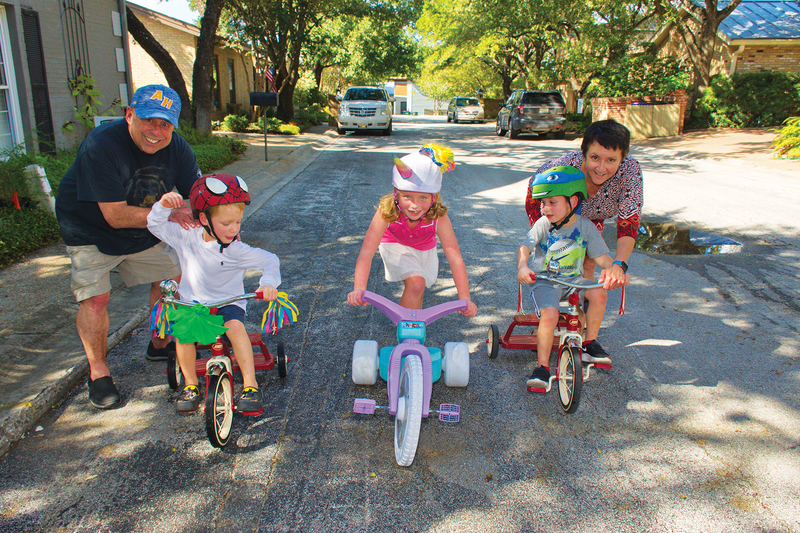 Adding not one, but three delightful youngsters to their formerly adult-only Alamo Heights household has proven to be not only a bit challenging, but extremely rewarding as well – not only for the excited “new” mom and dad, but for their cherished, incorporated children too. Read on, because it’s really all about family ties, and you’ll discover that in this inspirational case, that’s a very good thing. Ron was already a father from his previous marriage. The couple’s new additions initially resulted when San Antonio’s Child Protective Services removed a 10-month-old girl named Reagan, citing parental abuse and neglect. One of Ron’s sons had fathered the child with his then-girlfriend. Because of this familial connection, the senior Eisenbergs were subsequently asked if they would accept responsibility for the toddler. Stepping up to the plate, Ron and Gina readily agreed to take Reagan in (permanently, in their minds) in 2012. A few months later, the same woman was expecting another child, which turned out to be twin boys, with Ron’s son. CPS, for the same reasons as before, immediately removed the infants and asked Ron and Gina if they would consider taking Reagan’s two brothers as well. 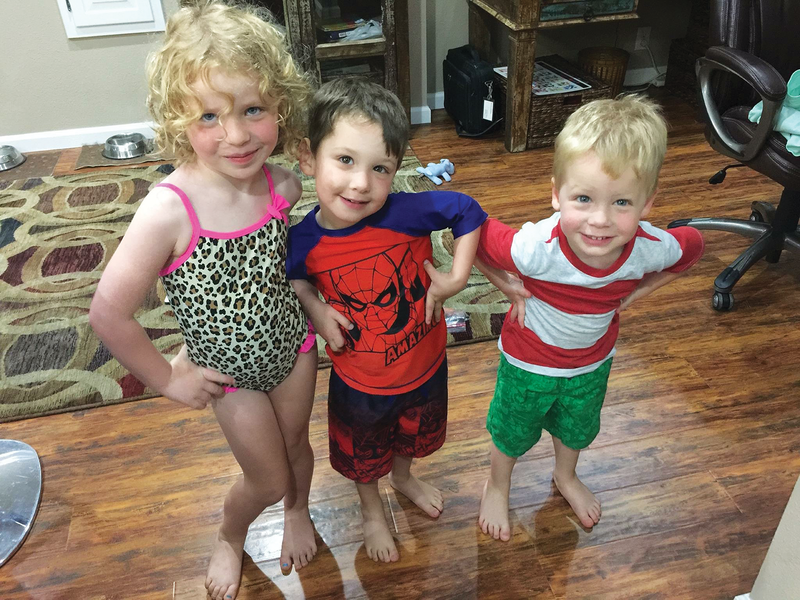 Without any hesitation, Gina and Ron stepped up, and when the newborns, named Kennedy and Carter, were only three days old, they brought them home to meet their sister. Through a joint effort that was, at times, very trying, Gina and Ron made their parenthood “official” by adopting all of the siblings. By early 2014, the matter was judiciously settled, and in the eyes of the law, Reagan, Carter and Kennedy became legally, emotionally and spiritually theirs, although it had been official to everyone else for a long time. Since then, life for the joyfully expanded Eisenberg brood has been anything but sedate. Both Gina and Ron were working full time when the children were adopted. Gina admitted to having “no previous parenting experience,” and said she’d never even changed a diaper, and Ron said his previous life as a “father to tots” now seemed almost like ancient history. However, fueled by the fondness of their three adored little ones, Gina said it was worth the effort. “Getting into the mom and dad routine actually came quickly for us, learning curve and all,” she said. “Initially however, we did wonder if we were up to the challenge.” Despite the curve balls, over the past six years, a determined and dedicated Ron and Gina have proven to be pretty darned adept in their roles – just one look at the beautiful, safe and happy Reagan, Kennedy and Carter with their bright smiles and healthy glows tells it all. Today, the Eisenberg clan is an admirable study in nonstop activity with school, sports and a myriad of other “child-rearing responsibilities” which continually fight for attention with Ron and Gina’s on-going professional commitments. Gina mirrors his outlook. With an active seven-year-old daughter and two equally energetic five-year-old boys to nurture 24/7, after so many years with only each other (and their cats) to dote on, many might have guessed that such a personal “reorganization” wouldn’t stand a chance of success. However, by giving so much of their time, energies, affection and themselves, Gina and Ron now are reminded daily that they are the real winners and have gotten so much more in return. As for the children, they seem to have fared well in this deal. They’ll tell anyone in joyful unison that they’ve got the “bestest” mom and pop in all of 78209, and really, who can argue with that? 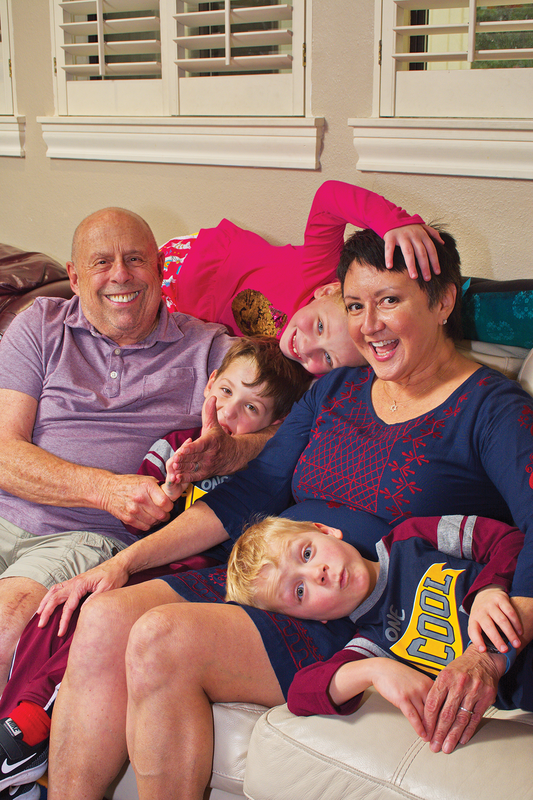 By “adopting” this new lifestyle, the very blessed and appreciative Eisenbergs really did acquire something wonderful, special and inspiring to boot. Bravo Gina and Ron, and keep giving big hugs to each of your very fortunate and thoroughly loved little ones. Of course, maybe wait until they’ve picked up their toys first!